Why take time out of your busy schedule for a dental procedure that requires two office visits, when you can get your crown in one sitting – a ‘same day crown’ at Dr. Wolfe’s office right here in Waxhaw? New Town Dentistry’s recent purchase of CEREC’s CAD/CAM system allows Dr. Wolfe to perform tooth restoration using digital technology combined with a new 3D imaging tool that allows him to make a natural looking, perfectly fitted crown in just a few minutes. That’s right, while you wait in the chair, we can actually make the permanent crown for you and fit it perfectly instead of having you wear a temporary crown, and come back to have your new crown placed later, which is a typical procedure. Our new technology is an integrated system of imaging, software and CAD/CAM technology. The machine is capable of precise grinding and milling of a range of superior materials. Our patients will experience the ease and efficiency of non invasive, high definition diagnostic imaging that is easy to share with patients so they can see and understand the process, and a quick process of making and fitting a beautiful crown prosthetic. You’ll leave our office with a natural restored smile, knowing that you took the minimal amount of time out of your busy schedule for the procedure. We also make veneers, inlays, onlays, and bridges with this technique. Our new imaging offers views of your teeth and gums that are easy to read and show you, the patient, in a high definition format. The precision of our new imaging technology combined with the CEREC CAD/CAM milling allow us to create perfected fitted custom prosthetics on site while you wait. We are equipped with better diagnostic and treatment planning capability. CEREC technology is proven to be successful – more than 30 million successful tooth restorations have been completed using system, worldwide. 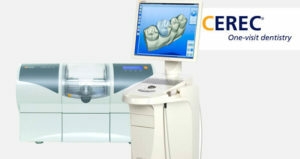 CEREC technology our team and patients easy understanding and total visibility of images, with user-friendly software interface. 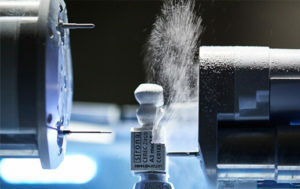 The machine offers grinding and milling in one session using a variety of materials. Once the prosthetic is milled in the CEREC unit, it is finished in house while you wait, and permanently placed with precision. We’re celebrating the launch of this amazing ‘same day crown‘ technology. Contact us for an exam, whether you are a regular patient here, or if you are looking around for the best family dentistry practice in town. Our technology offers more than ‘same day crowns‘ – we have the best imaging diagnostics and most convenient treatment options around. We are so excited to introduce our new CEREC and the Sirona 3D imaging system — we love to show it off to our patients! Call us today! PreviousPrevious post:3D Imaging Technology at New Town DentistryNextNext post:Merry Christmas and Happy Holidays from the crew at New Town Dentistry!